The Virtual Console over the Wii’s life cycle has usually been pretty good with classic games with the odd titles that have been missed. One of those has been Earthbound which has been demanded heavily since its release on the SNES. Nintendo during their lovable Nintendo Direct’s decided to let everyone know you’ll be able to download the game finally on the Wii U Virtual Console. No other date has been given other than by the end of the year. Suffice to say, I’m stoked and this actually is a reason to buy a Wii U for me. 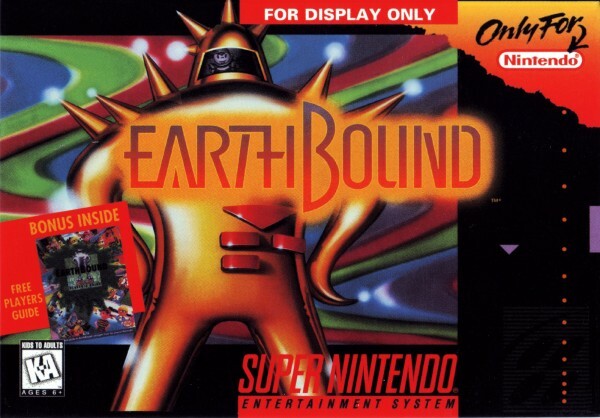 For those who don’t know, Earthbound is a seminal RPG created by Nintendo. It was really neat for its use of modern everyday life as opposed to fantasy worlds. You’ll see uncommon phenomena like Starmen or meteorite landings from a weird language of Saturn people.